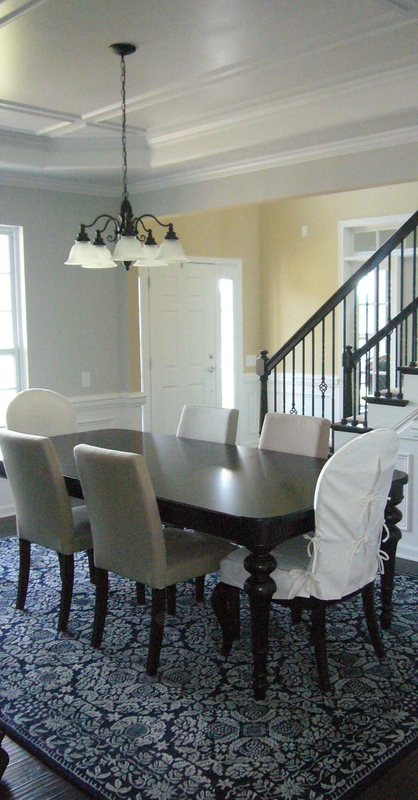 Gray dining rooms are very classy but you have to be careful what color woods you have in this room to pull it off beautifully. 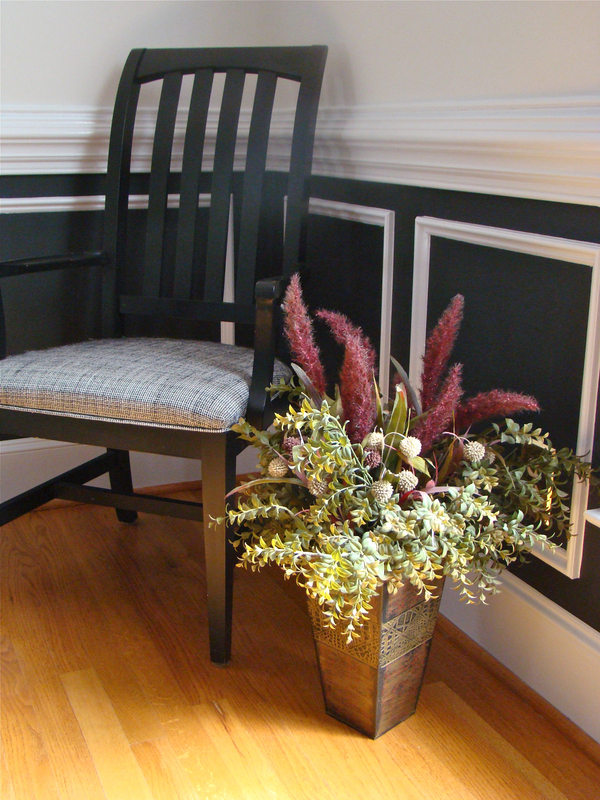 Darker woods are a great choice but will not work with the lighter, orangey oak floors. Soft color for your bedroom. Gold … it’s a good investment! Love green and gold? My client does! Thornton Oaks, Charlotte. 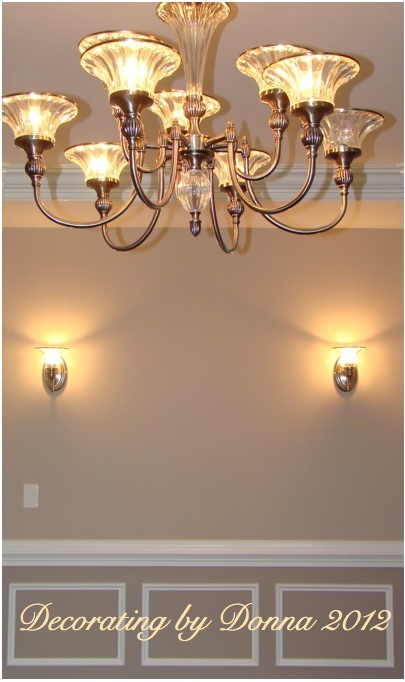 The wall color and drapery should look like they belong together. See the green from the wall color in the fabric? It ties in beautifully. You can put dark colors in small bathrooms. 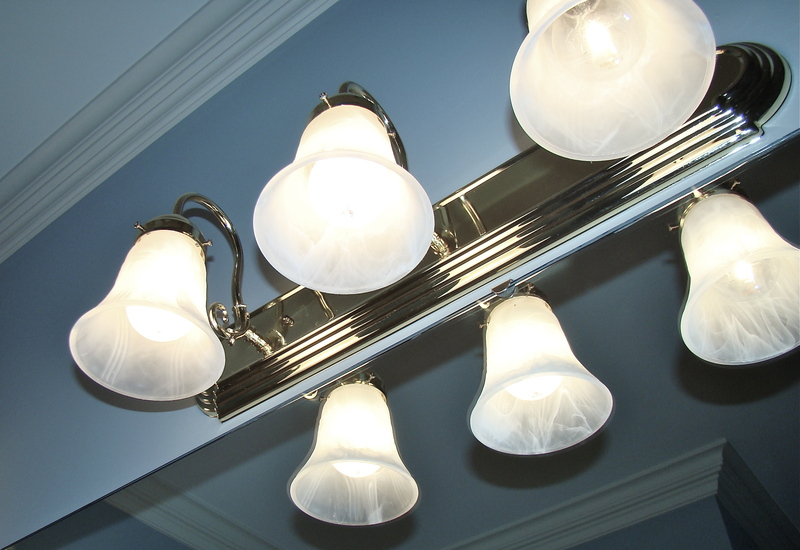 Color won’t make your bathroom and bigger so you might as well make it an amazing color. Look how cozy this small bathroom is? I used a toasty color just on one wall and a creamy beige on the other. Black accents look amazing in this loo. 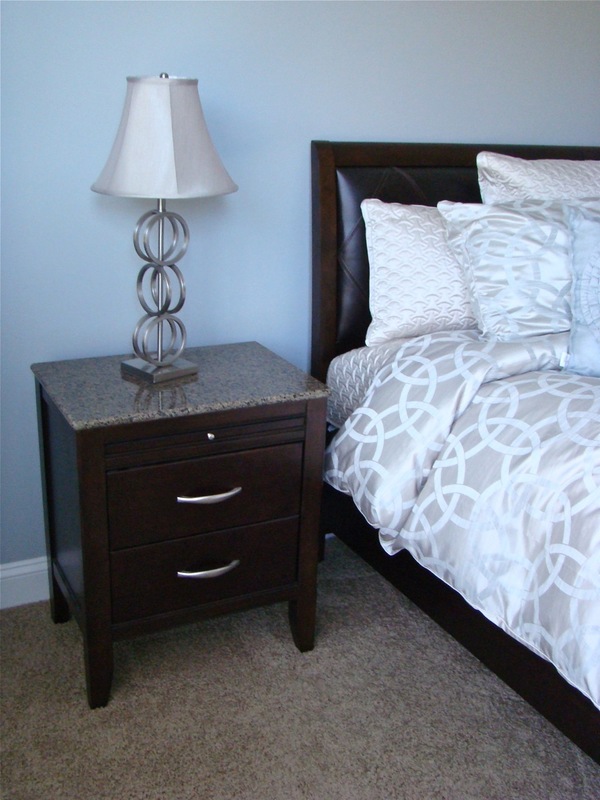 Taking a color from the bedding is a really good idea to unify the look of a guest bedroom. What came first – the wall color or bedding? You’ll never know! 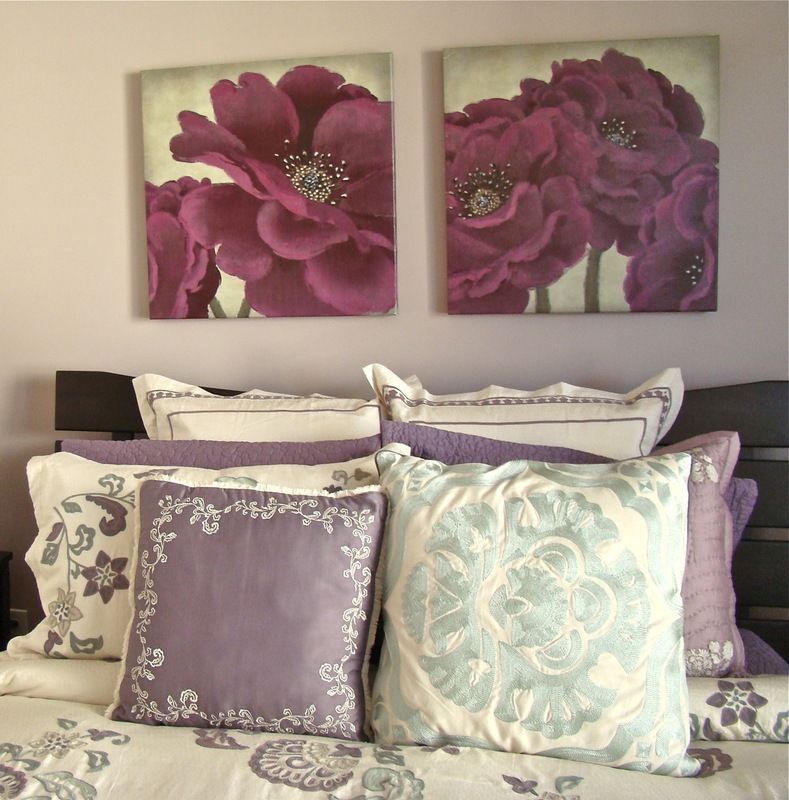 Having a little fun in this guest room with a light lavender to pick up the purple hues in the art and bedding. 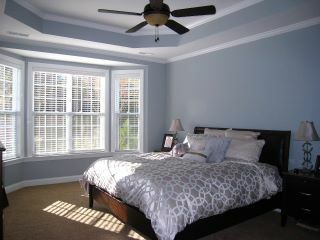 From the bedroom of this home in the Cureton subdivision in Waxhaw, this silvery blue was just what the client wanted! 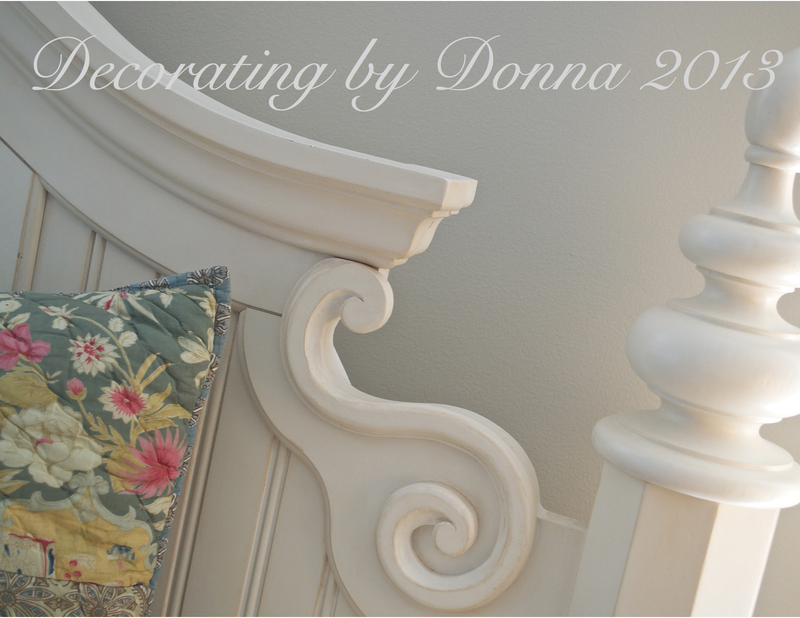 I choose a paint color that incorporates both the silver accessories and the blue in the bedding – together – it’s the perfect color for this master. This is a home located in The Chimney’s of Marvin/Waxhaw NC. This large home has a very open floor plan. The main color palette as you can see is blue. 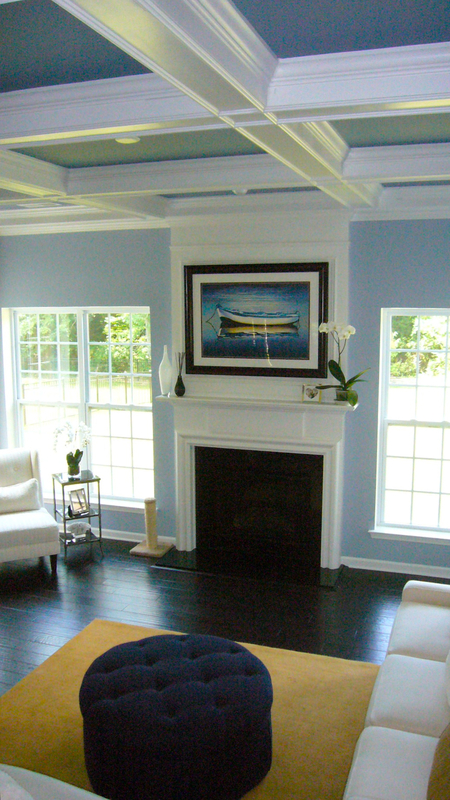 The beautiful painting over the fireplace was the inspiration piece for the entire home. 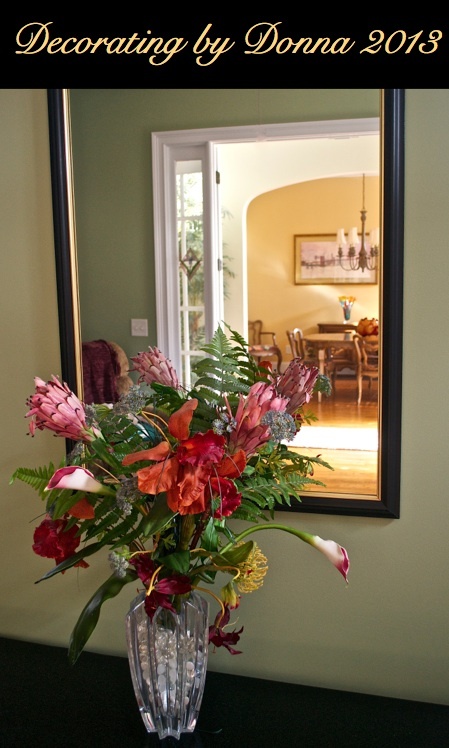 This foyer is part of the same home in Marvin. See the colors I chose here? Can you see them again in the inspiration painting? 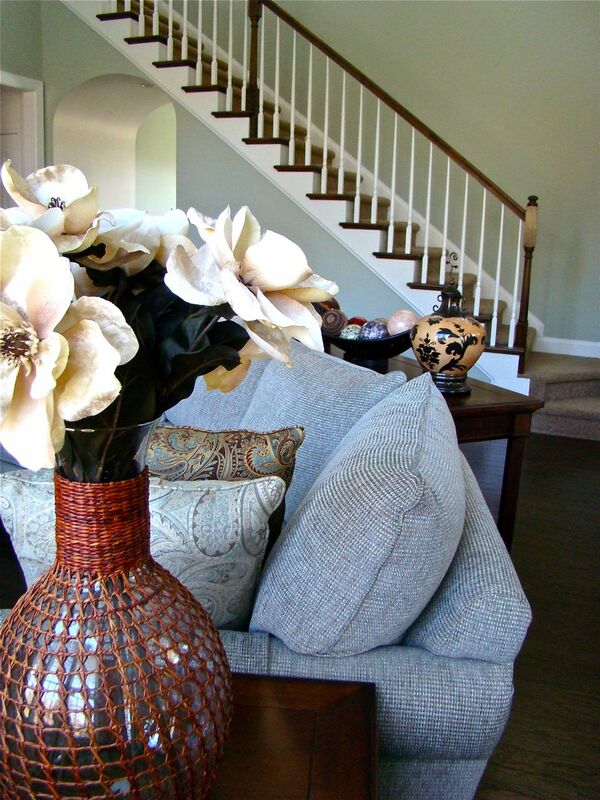 When you have a two-story foyer such as this one, it’s imperative that the rest of your color palette coordinates with this because you can see this room from just about all rooms in the lower level. Located in Mt. 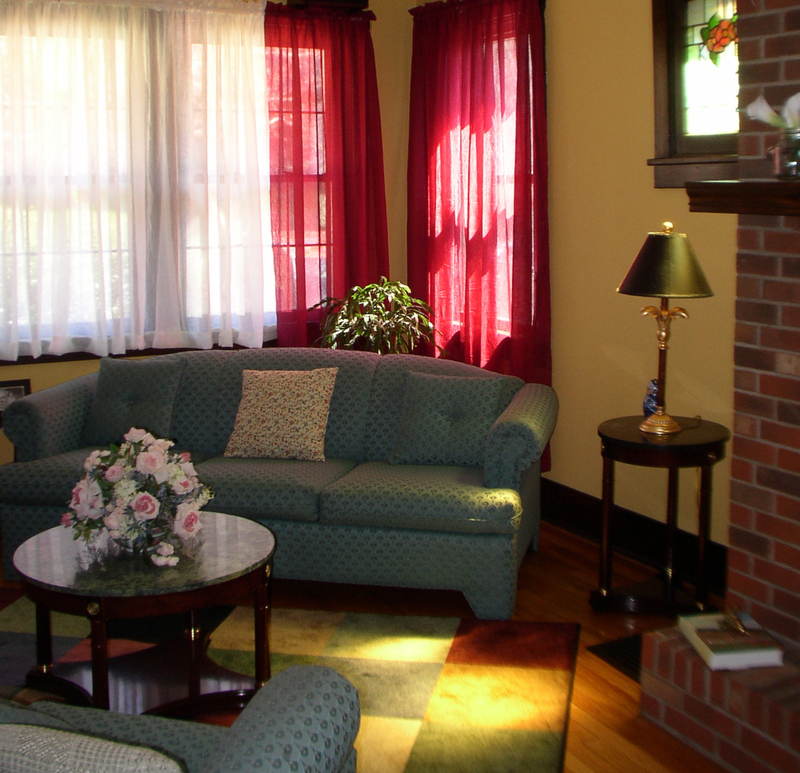 Lebanon Pennsylvanian, this very color living room was actually mine! The dilemma here was working with the aqua sofa. I was very limited in the colors that I could use and beige was not an option. So, gold it was! This very warm hue was just what this cozy little living room needed! Here is another home located in The Chimney’s of Marvin. Another consideration that is important is ethnicity and culture. The homeowner was of Indian decent and wanted very vibrant colors. This gold is just what they wanted! FYI: Keep in mind that colors that may be beautiful to us can be offensive to certain cultures. Gray. Very classy and still very popular – as it should be! You can do so much with it. It can be part of a coastal palette, contemporary – just about anything. Undertone is key to choosing the right gray for you. Purple and lavender are some other colors that are a bit trendy but really cool if you know how to use them. We don’t want a Barney purple room but this soft lavender will help any guest to sleep in no time at all. Same room, different angle and with drapery. The beige one with the chandelier and window ,..what color is that? 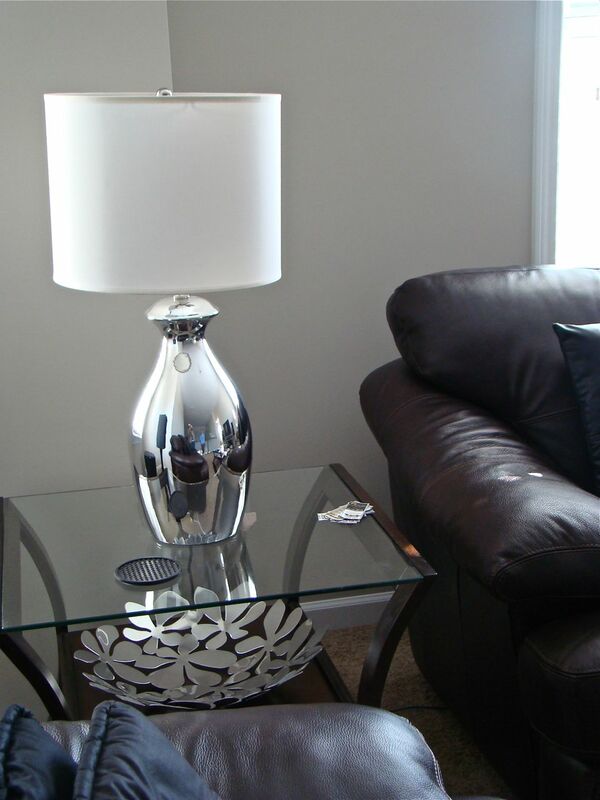 It’s actually two colors – The top one is Hampshire Taupe but be real careful with this one -it’s a pinky beige and can turn your room in to one big band-aid depending how your lighting is. Paint out a sample first. hi what is the color of the foyer? ok thank you..i just saw your comment,..o…about the band-aid issue,…im looking to paint my house a neutral color,…im not having a good time.. I normally don’t give out the names of colors Dinelia but I do have color consultations available if you would like a specific name. 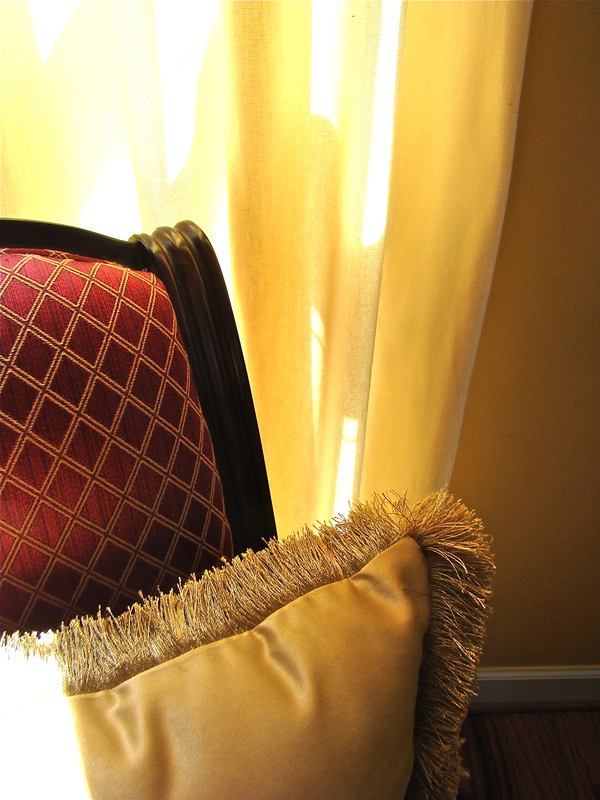 The reason I mentioned the color above in a comment is because it’s a red flag color and I don’t recommend using it unless a Professional approves it for the lighting conditions in your home. It’s a pinky beige and really only fits in very few decors. I do have a one-color consult option for $35 and will be able to tell you the name of the Marvin home color if you’d like to proceed. It’s a gorgeous blue and the home really came out beautiful.Thanks so much! 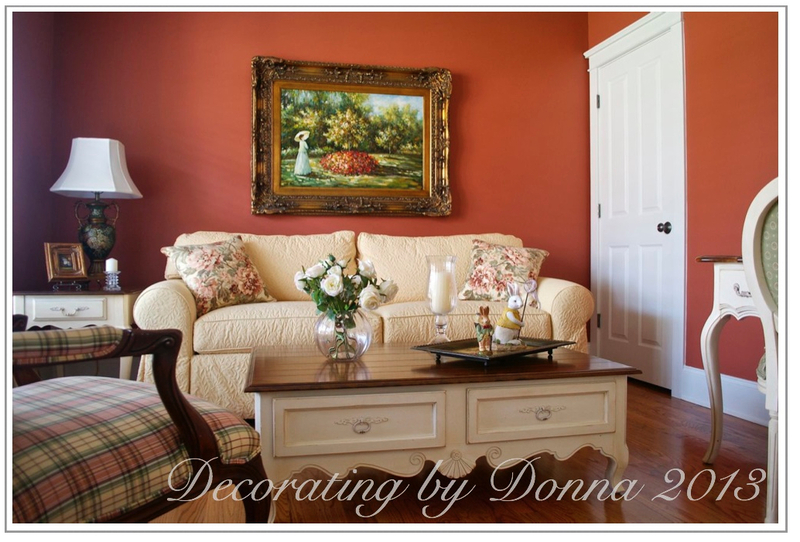 Carol – contact me at DecoratingbyDonna@mac.com to discuss. I can help you! Toll Brothers is the builder who built that home in Marvin. There are two colors there, a beige and a blue/gray. 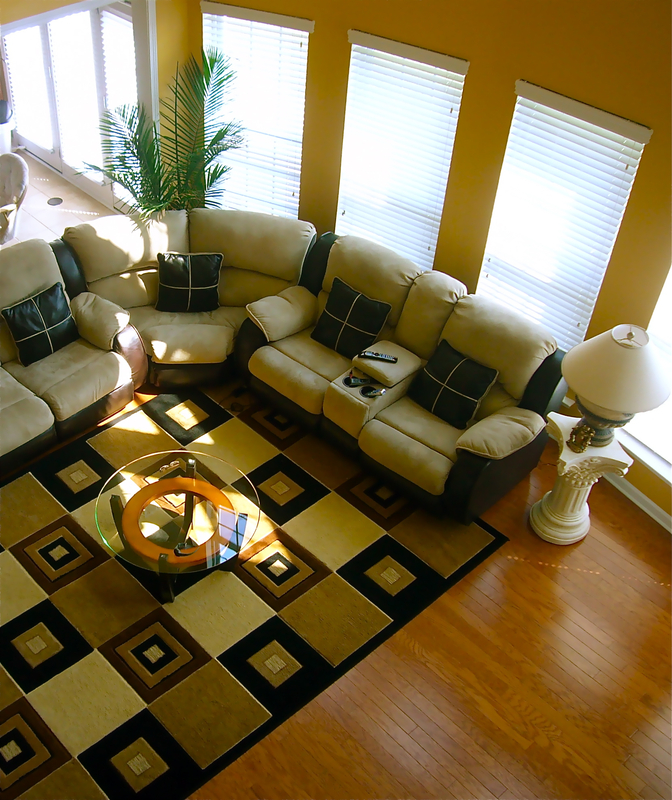 The homes here in South Charlotte are very open and the rooms spill into one another so the colors have to be really good friends to live so close together. 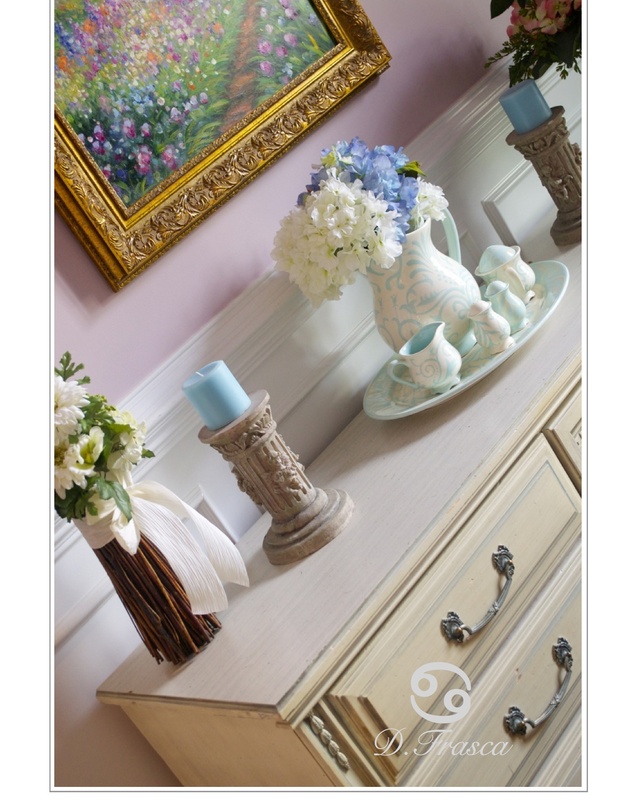 Interesting concept to charge for sharing the names of paint colors you post on your website. Well ideally, they are called “Color Consultations” which is how I make my living. I get so many emails and requests to reveal paint names of the color palettes that I design and if I did that for free, I’d be on the streets so to speak. I’m more than happy to reveal any color palette on my website but there is a charge for that – aka – Virtual Color Consultation. 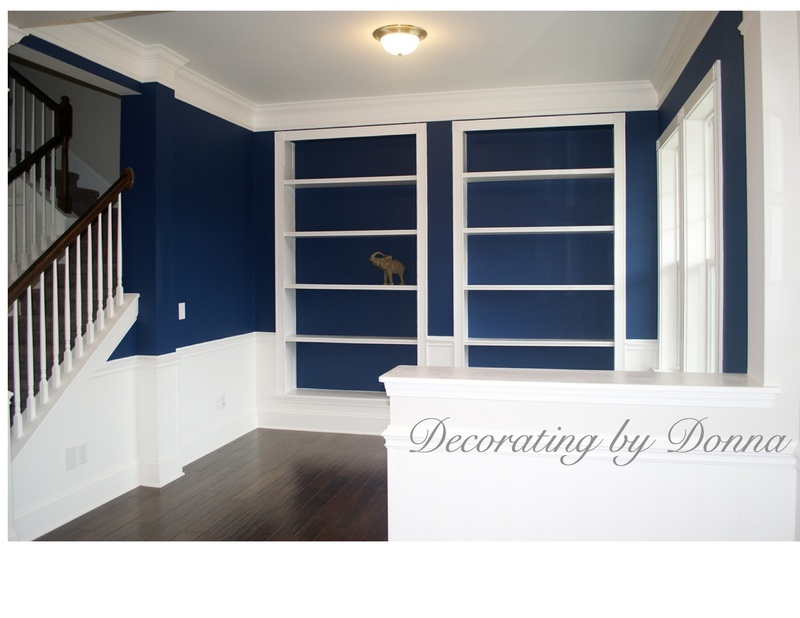 I can provide those color palettes in just about any paint brand you’d like! 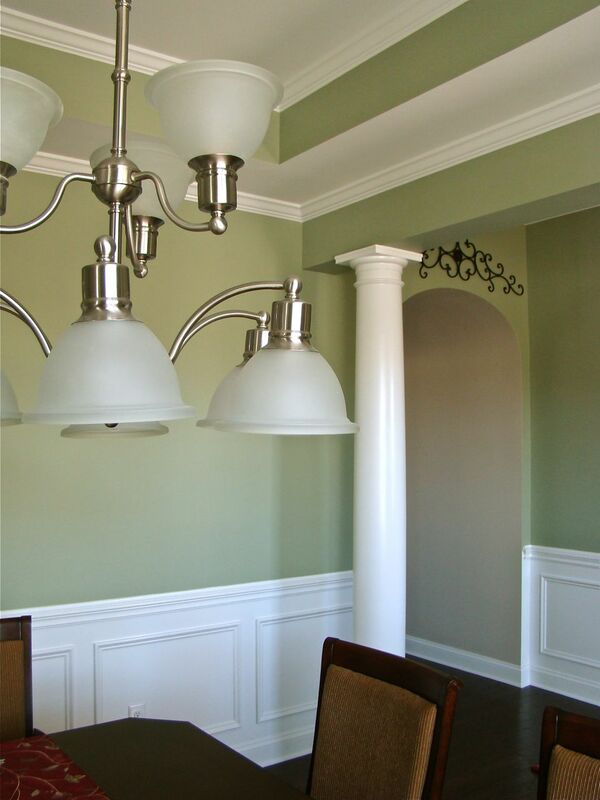 I love the green shade you chose in the dining room where you comment on how it picks up the color in the drapery and also the gold found in another nearby room. I would love to get the name and numbers for these paint colors. I’m not sure how to go about with payment for this information. Please let me know. Hi Jenny. I can look up those colors for you but just to let you know, the color that you see here online and the actual color are two different looks. Here you the total look based on the lighting in these rooms. 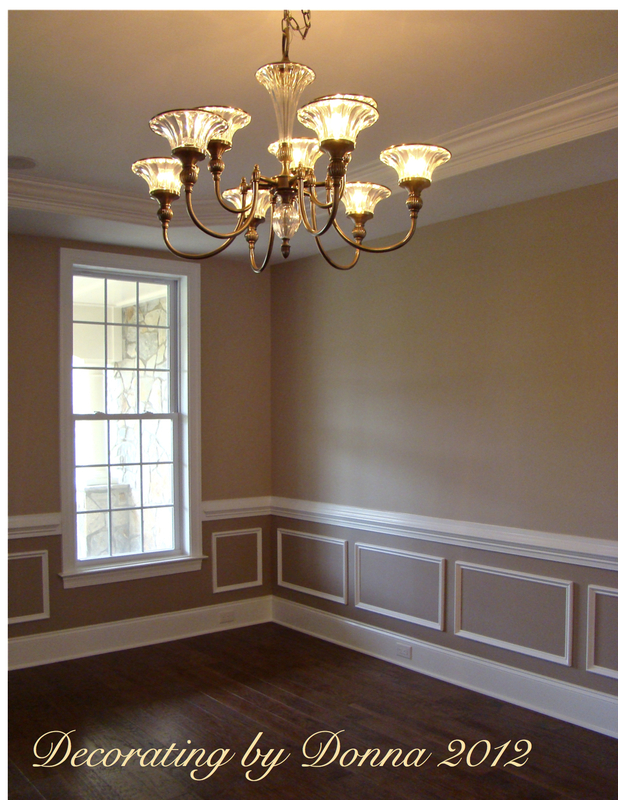 They may look different in your home which is why I always recommend sampling your paint colors. I apologize for that. However, you said “vedy” and “rifee” I believe that is not correct? I’ll try my best to use my spell check as should you- thank you! Both those color combinations sound great and there are many options for that. I think Valspar has some of the best selection of greens. Check out their Historic Preservation section. I’m sure you’ll find one there. Now gold colors, they are a little harder to find and that also depends which green you choose. Email me if you need more help. Hi DONNA! I enjoy your work. 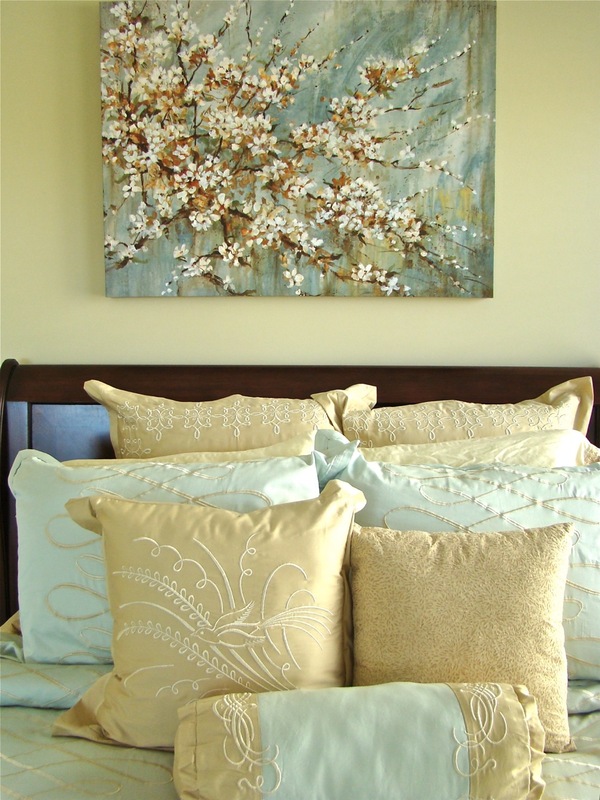 May I ask where you found that gorgeous canvas above the bed with the aqua and soft yellow pillows? I love as my walls are soft flaxen yellow and my accent color is seaglass aqua. Thank you Beverly but that art was chosen by the client. I chose the wall color based around that art. I think I may have seen it on Amazon. 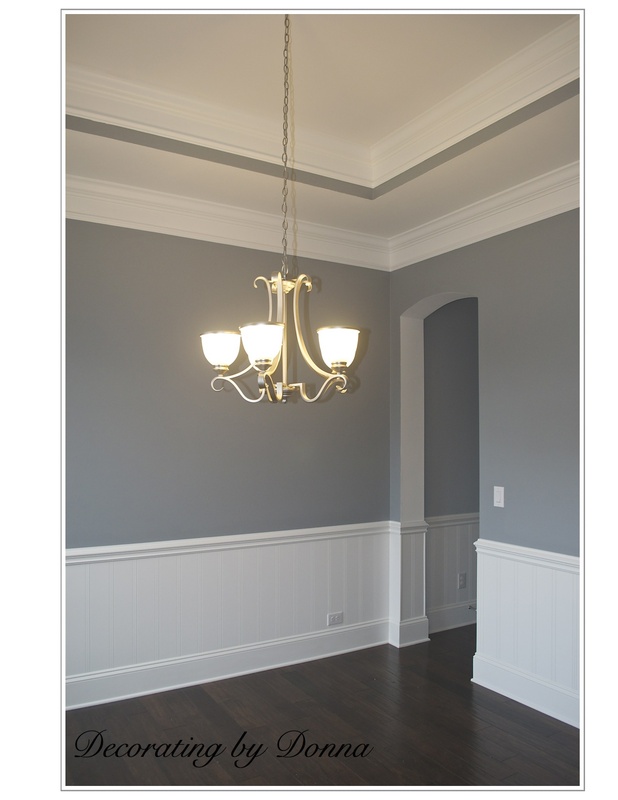 I was wondering what the charge was for the name of the gray blue color in your dining room picture?